Working at a world-famous cookie factory. It felt like a childhood dream come true when our client asked us to remodel the old flour warehouse, that once formed part of Biscuits Parein. The Biscuits Parein cookie factory has been converted into a spacious loft, retaining the most characteristic parts of the original structure. This project combines 21st century living and the distinctive character of the historic baking facility. 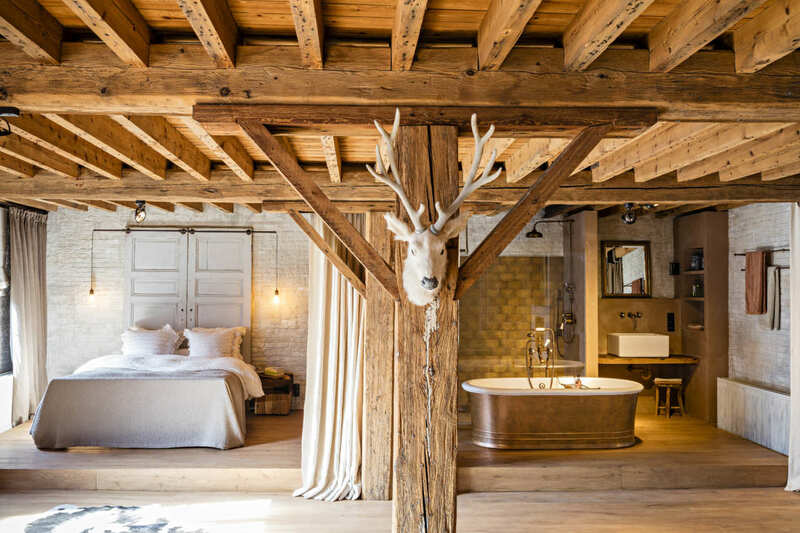 Every detail makes the complete space feel rustic yet luxurious. Preserved roof trusses and exposed wood beams embrace the room. Wood flooring throughout the loft blends in perfectly with the old brass fixtures. The background tones, vintage elements and natural materials find harmony in contradiction, such as to create a unique industrial character. Dauby, leader and manufacturer of decorative tiles, crafted beautiful bronze tiles for the shower. By roughly forming the tiles in a sand mould and refining them afterwards, we created a charming and authentic look. The exquisite level of craftsmanship of all fixtures is paralleled with the artisanship of Parein’s biscuits. 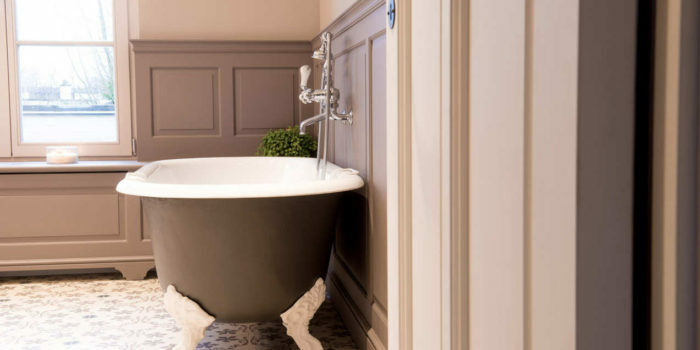 This freestanding quaryl bathtub is a highly qualitative composite, that serves as a true centrepiece. Thanks to a variety of quality properties, the method of casting quaryl offers endless design possibilities. The bronze finish works well with several styles, but looks particularly charming with industrial spaces. Talking about bringing a huge “wow factor” to the room. With old brass as a living finish, as to add depth and warmth to the room. In fact, the unlacquered appearance of brass will mature over time to develop a patina and distinctive industrial character, reminiscent of old brassware. 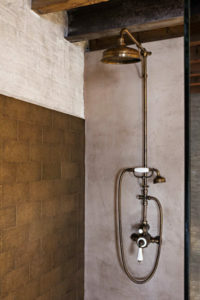 When it comes to lofts and open spaces, nothing looks better than an old brass thermostatic shower. Its beautiful handcrafted porcelain details originate from the Staffordshire area in the West Midlands, where time and tradition go hand in hand. Generations of craftsmen achieved this level of perfection. As a plus, the shower features a patented shower bracket for strenght. Ideal to finish off any industrial interior decor theme. This towel heater isn’t just great for both heating and storage, it simply looks great, too. All of our radiators are handmade from solid brass. This classic biscuit brand takes fans of traditional cookies back to their younger days. Located in the old industrial area around Antwerp central station, the cookie factory was built in 1860 and closed down in 1894. Biscuits Parein is known for its famous TUC crackers and chocolate wafers. Currently the brand is part of the Mondelez group. Parein stands for a unique history and consistent high quality. Are you an architect or interior designer? 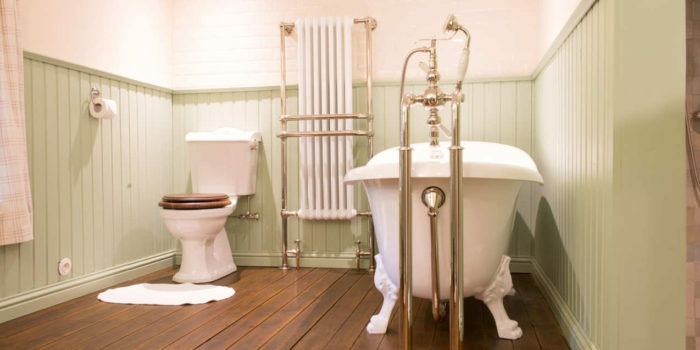 Kenny&Mason wants to inspire you with traditional and contemporary bathroom ideas. Tell us about your project.